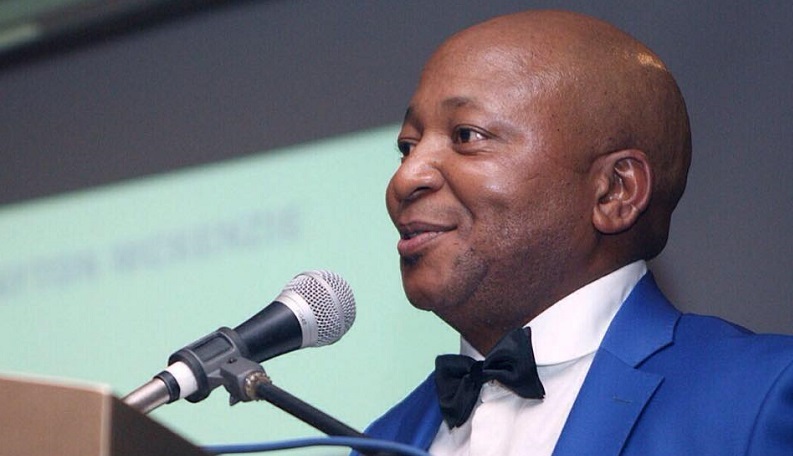 SA businessman and former “Sushi King” Kenny Kunene says he remains confident in a ride-hailing startup he’s invested in, despite it emerging that the company’s founder is embroiled in a legal dispute which involves a kidnapping and theft of the company’s intellectual property (IP). Kunene announced last month that he had invested an undisclosed amount in Johannesburg based Yookoo Ride, a firm that was founded in 2017 by Temesgen Tesfay. The Ethiopian last week told Ventureburn that he’s netted R20-million from investors so far. 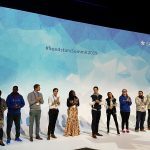 Kunene is listed on the startup’s website as the company’s managing director. Last week Tesfay revealed to Ventureburn that he has taken the firm’s former Ethiopian and South African business partners to court, alleging that at beginning of last year they kidnapped him and forced him to hand over the firm’s IP to them, by forcing him to provide them with passwords to his web platform, among other things. Ventureburn contacted Tesfay via the startup’s Facebook page after the telephone number listed for the startup went through to a Johannesburg based beauty parlour. The person who answered Ventureburn’s call said that the beauty parlour had held the number for at least a year already. But Tesfay claims the number was “stolen” by someone who was “working on marketing” for the startup for him. He couldn’t say why it was still listed on the site over a year on. Last week, when Ventureburn viewed the site, both its contact form and links to team members’ Twitter profiles did not work. Tesfay claims the trouble began when his business partners wanted to sell the company, after receiving an offer from Australia. He claims the partners held no share in the company. He told them that they needed to have a share in the company in order to be part of any business decisions. He claims that after he refused to sell the company, the former business partners kidnapped him and forced him to transfer the IP over to him. He claims that they then “cloned” the app and set up a fake social media page — both of which he has been able to get Facebook and Google’s App store to remove. While he claims the case has already gone to court, his lawyer Richard Dawes from Marais Attorneys says the case has yet to appear in court. “He has reported it. There is a case, but it hasn’t come before court,” he told Ventureburn in a call last week. While he refused to provide Ventureburn with the names and contact details of the opposing party, he says they are being represented by PwC, a firm that usually deals with commercial disputes and not criminal ones such as kidnapping. Dawes said in a letter to his law firm, the opposing party claims that they were using their own IP and not that of Tesfay or the company’s and that Tesfay had gained access to their bank accounts without their permission. Dawes maintains these claims are “not true”. He says Tesfay laid kidnapping charges, but adds that the kidnapping was more akin to them holding him in a room until they could get company IP off him. In addition, he says they took three cellphones and two phones. Pressed by Ventureburn on the veracity of the claims, Dawes referred the publication to Tesfay for further comment. “I do not know whether it is true, this is all just what he’s telling me,” he added. Contacted for comment on whether he knew about the case and whether this would affect his investment in the startup, Kunene told Ventureburn that he was not concerned. “I came in after I did my checks and I’m happy. We’ve never had problems and we’re operating fine,” he said. Asked about how many drivers the startup had signed up, Kunene said he was not able to say how many were on the books, “as new drivers are signing up everyday”. He then said he could provide the figures later at the end of the day, but then, when pressed to reveal the number he said he was “not comfortable giving these figures to the media”. Does Kunene then have a stake in Yookoo Ride? Tesfay told Ventureburn that Kunene does not have a stake in his startup, and that he and the businessman were still “negotiating” for him to invest in the company. However, while he said Kunene has provided “small amounts” in investment up till now, when contacted Kunene insisted he had a stake in the ride-hailing startup. He also said a number of small investors had invested in his startup. When Ventureburn asked him how much had been invested in total so far, he estimated it to be about R20-million. When asked to comment on whether he had a stake in the startup or not Kunene was adamant that he did. “Of course I have a stake, otherwise I wouldn’t be involved,” he said. When pressed on what size the stake was, he wouldn’t say whether it was a majority stake or not. “It’s not relevant to me (whether I have a majority or minority stake),” he said. Ventureburn asked Tesfay whether he had any concerns in having as an investor Kunene — who served six years in prison after a 1997 conviction for helping defraud investors in a Ponzi scheme. Tesfay, who said he’d been in South Africa since 2012, said he’d only discovered that Kunene had served time, on the day that he was to meet him. However, he said Kunene had served his time and that this was all in the past.